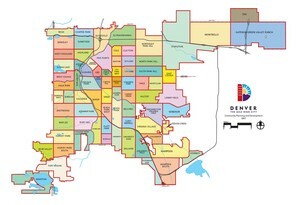 Wellshire is an established, traditional neighborhood located on the southern end of Denver, Colorado. With many homes designed and built in the traditional 1950's and 1960's styles, the neighborhood is now undergoing some renovation and new construction, updating its look. This desirable location is known for it's family friendly community atmosphere. This community has a very low crime rate and is one of the safest locations in Denver. It is not unusual to see residents riding bikes, walking and chatting with neighbors or taking in the great mountain views. Wellshire is also home to one of the best public golf courses in the city, the Wellshire Golf Course, which began it's run as a private course. This course has a full 18-holes and is also home to the Wellshire Inn Events center and a fully stocked pro shop. The wellshire Inn is know for hosting private events and numerous wedding throughout the year. Wellshire is also a desirable location for families, as this neighborhood is served by not one but two highly rated public school systems in the state, the Cherry Creek School District and Denver Public Schools which the highly regarded Slaven's Elementary is part of . The University of Denver is also less than five miles away and with easy access to I-25 residents can quickly access other parts of the city. All of this has combined to make Wellshire a great neighborhood to live in over the years.